Join us at the beautiful Channel Islands Harbor for a wonderful summer evening celebration. Along with entertainment by the Blues Band, sample from a variety of small plates and beverage pairings topped off with delightful entrees. 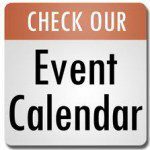 All guests are invited and encouraged to participate in the fun live and silent Auction! 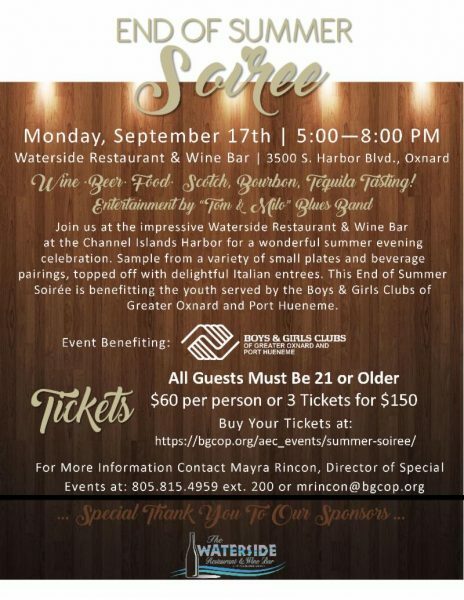 This End of Summer Soirée is benefitting the youth served by the Boys & Girls Clubs of Greater Oxnard and Port Hueneme.